This post is part of our weekly blog link-up, where we free write for five minutes flat on a one word prompt. Learn more about how the link-up works here. 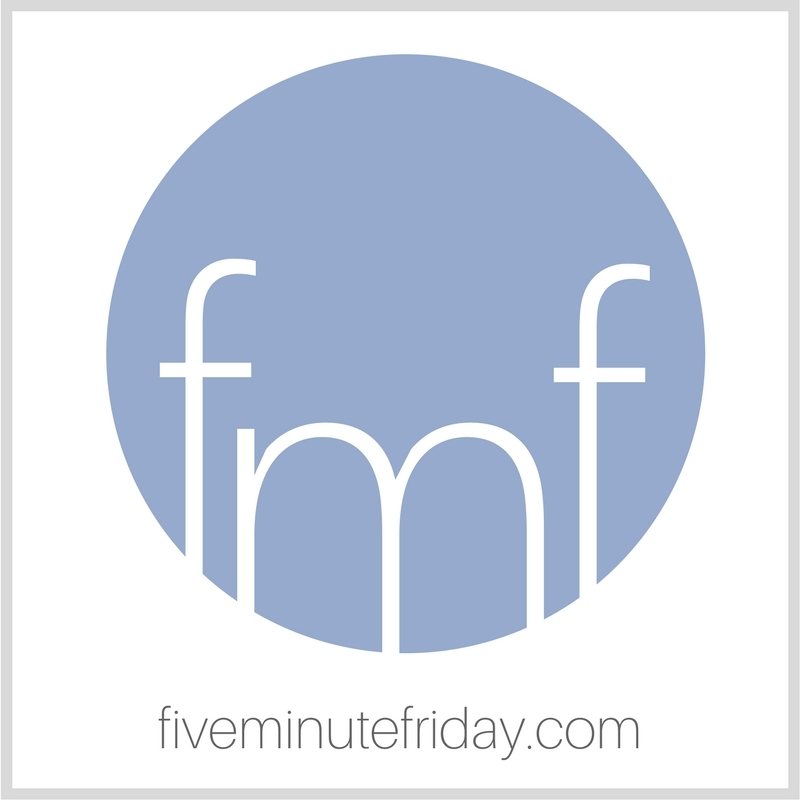 This week we have a special treat, because we get to hear from my friend and fellow Five Minute Friday writer Lisa Van Engen! Lisa and I actually live in the same town in West Michigan and we’ve been blessed to spend time together in person on several occasions, including a few writing conferences! We’re celebrating this week because, after four LONG years, Lisa’s book baby is about to be released into the world! Just: what is fair and right. In writing the book, And Social Justice for All, I had young people fill out questionnaires about social justice issues. What would be a fair trade? Not trading a toy, but straight out giving a toy to someone who needed one. Not one but many students answered in this way. Their answers are a beautiful reflection of Christ’s heart. Perhaps he asks us to not only do what is fair and right and just- but to go beyond even that. Our capacity to make a difference cannot be measured in human dimensions. May our hearts expand even beyond what is just in relation to others. Lisa Van Engen writes from Holland, Michigan and teaches reading and writing at a local elementary school. She loves hiking and going to the beach with her husband, two children, and dog. Her first book, And Social Justice for All: Empowering Families, Churches, and Schools to Make a Difference in God’s World releases February 26, 2019 from Kregel Publishing. Just a reminder that there’s still time to sign up for the FREE online FlourishWriters Conference! Join the link-up by free writing for five minutes flat on this week’s prompt, then clicking the blue button below or adding your words in the comments! And be sure to visit your link-up neighbor to read their post and leave some comment love . . . I usually comment in sonnet-form these days, partly to impose a mental discipline, but also because, as my friends say, I’m quite mad. to question the Lord of Hosts. but am I used to show the way? Answer to “but am I used to show the way?” YES! That is beautiful. You inspire Andrew, you never give up. Congratulations on your book, Lisa! It is amazing how children can answer in simple ways that can cause us to think more deeply. I totally agree! The kid’s answers are my favorite part of the book. So profound! This sounds like a great book, Lisa! And one that’s needed. I’m always amazed by what kids come up with with (I teach reading and writing to high school kids). I do reading and writing intervention 1st- 5th. They amaze me every day. I bet you receive some inspiring writing. Sometimes I’m not sure what is fair and right. I know for sure what isn’t. When Ben walks in and makes clunking noises that wake up Judah, that is not just! Not for Judah, not for me. But also, the way I might yell at him when he wakes Judah…also not fair or right. The way I don’t get time to do what I want. Not just! But…maybe it is? My children still talking to me when I’m trying to write…doesn’t feel just or fair. I just want to do my thing. I just want to write. I just want to sit down! I find myself muttering these things all day long in my head. Just give me five minutes! Just wait a minute! I just love your little face. I just want to scream! Haha. It’s not fair that ….wives are treated like garbage by their husbands. It’s not fair that …children go without homes because they parents made bad choices. It’s not fair when a mother dies. But what is fair is God’s justice. He tells us to not repay evil for evil, because “Vengeance is Mine. I will repay,” He says. He will put the orphans in families. He will repay all men for their deeds, whether good or evil. God’s love is always right and His truth is always true, He just sometimes waits to repay evil, because there may be repentance. Because He doesn’t want to pull up the wheat with the tares. He wants to wait until the last minute because God wants to give everyone a second chance to hear Him, another chance to do what is right.